Learn the basics of proper alignment, lengthening the spine, and understanding how breathing and postures are linked together when used in motion and stillness. Most postures are taught with students seated on chairs with props as supports. Standing postures are taught with chairs as balance support. Yoga movement gives you greater flexibility, strength, and a deep sense of relaxation. 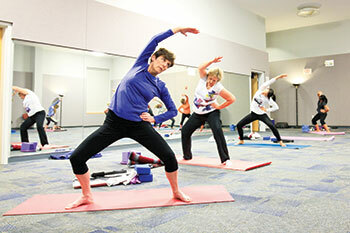 Please read: Sticky exercise mats (available in the SCC Bookstore) are required in all Pilates and Yoga classes.